Today we talk with Doug Crashley of Crash Conditioning in Calgary, AB. In this super-sized episode we talk about the cyclicality of having a hockey business... crushed in the summer, quiet in the winter. Crash has some interesting ways to manage himself, hit team, and his business throughout the year. Today we're talking long term athlete development with Joey Garland, formerly the strength and conditioning coach and athletic therapist for the OHL's Windsor Spitfires. Joey talks about his masters thesis where he dug into the competitive history of a group of players who made it to the OHL to see the similarities and differences between those experiences. Are Canadian National Team players all great athletes? Hope you enjoy this episode, lots of meaningful stuff here. On the 71st episode of the Hockey Strength Podcast, we talk with the final presenter for the 2018 NSCA Training for Hockey Clinic, strength coach with the San Jose Sharks, Kevin Neeld. We look forward to hearing from these two at the Training for Hockey Clinic coming up in just a few days. Today Anthony Donskov, head coach at Donskov Strength and Conditioning in Worthington, OH discusses his presentation for the upcoming NSCA Training for Hockey Clinic. Anthony will be doing both a lecture and a hands-on presentation at the clinic, both on slightly different topics. In his lecture, Coach Donskov will be addressing micro-planning considerations for the off season, and telling us how he is able to challenge athletes in a team setting, and his most advanced athletes throughout the off season. In the hands-on session, he will be teaching the value and application of isometric training throughout the season with athletes of different ages and levels. Can't wait to hear more from Coach Donskov at the clinic. Enjoy this conversation! On Episode 68 of the Hockey Strength Podcast, we chat with Dan Garner, head coach at HockeyTraining.com. Coach Garner's upcoming presentation for the NSCA's Training for Hockey Clinic, Maximizing Hockey Perfornance through Game Day Nutrition. is nutrient timing really that important? On Episode 66 of the Hockey Strength Podcast, we sit down with Rich Molin, head strengt coach at Dynamic Fitness Solutions in DelRay Beach, FL. 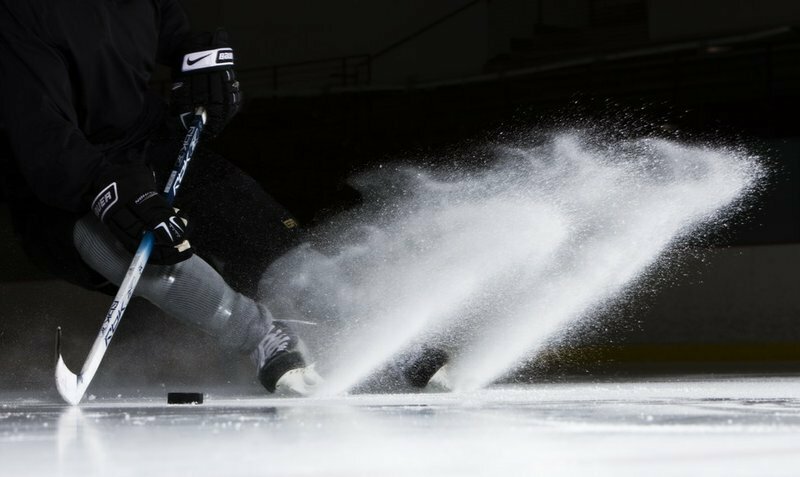 Rich will be presenting at the 2018 Training for Hockey Clinic in Colorado Springs, June 8th and 9th, and we're excited to check out his presentation on the initial phases of off-season training. Justin is just one of many great presenters coming to the 2018 NSCA Training for Hockey Clinic which fires up on June 8th. If you'd like to purchase Justin and Devan McConnell's new book, Intent, purchase here Remember, profits from the book will be donated to the families of the Humboldt Broncos. On Episode 65 of the Hockey Strength Podcast, we are joined by long-time NHL strength coach and current Director at the UPMC Sports Performance Center in Pittsburgh, PA.